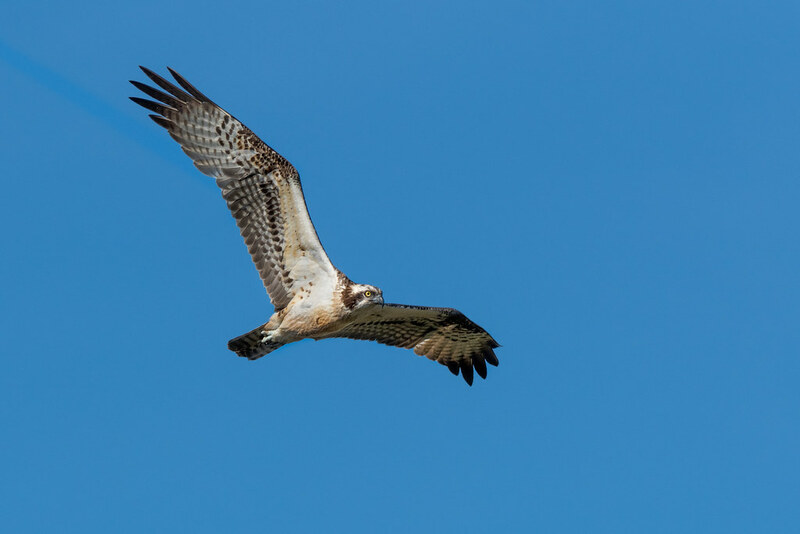 A few days ago I used the excuse of an airport run to spend the morning at Ludo to photograph the Osprey that I’d seen the week before. 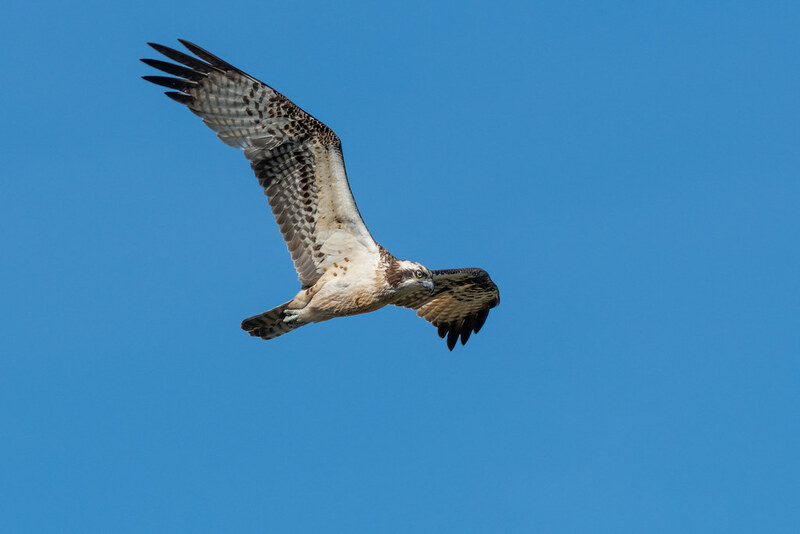 I waited around 30 minutes before one turned up, followed soon after by a second Osprey that joined it to hunt for fish. 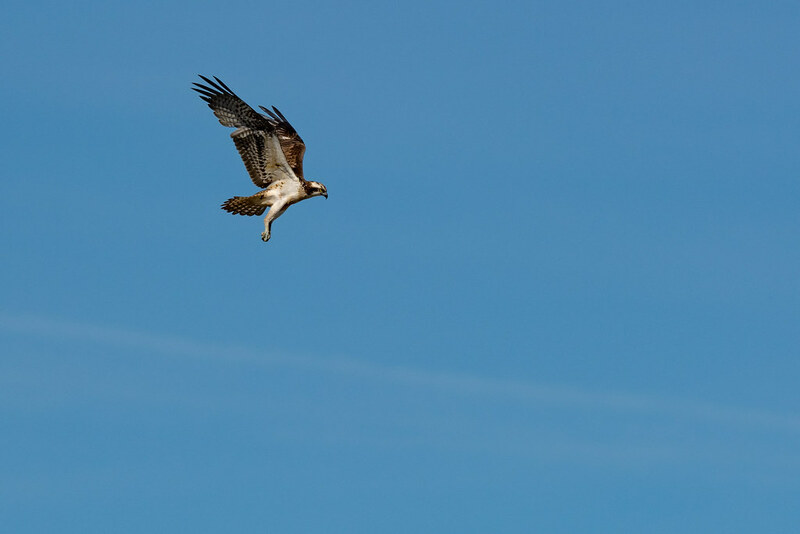 They both circled the area above the water at Ludo for a few hours, often swooping down but never touching the water. 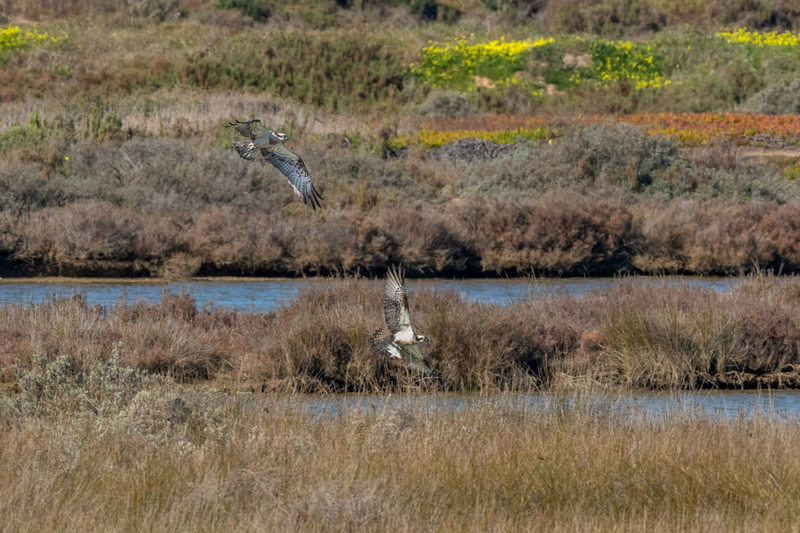 As they were not too close to my location, I was forced to use a 1.4x teleconverter on my 500mm lens giving me 700mm. Although there is a slight loss of quality, I’m quite happy with the results. 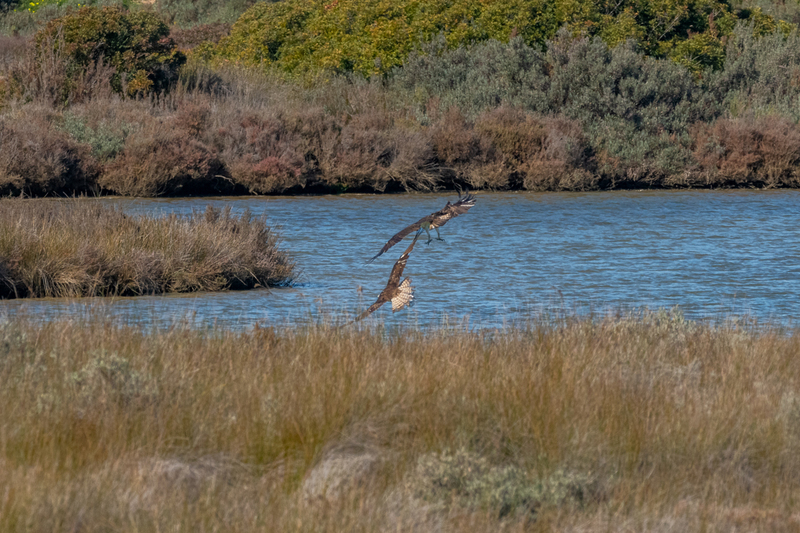 Ospreys are a over-wintering bird in the Algarve and may be found in many of the south coastal wetlands with Ludo seeming very popular. They can be found between the months of September and April. 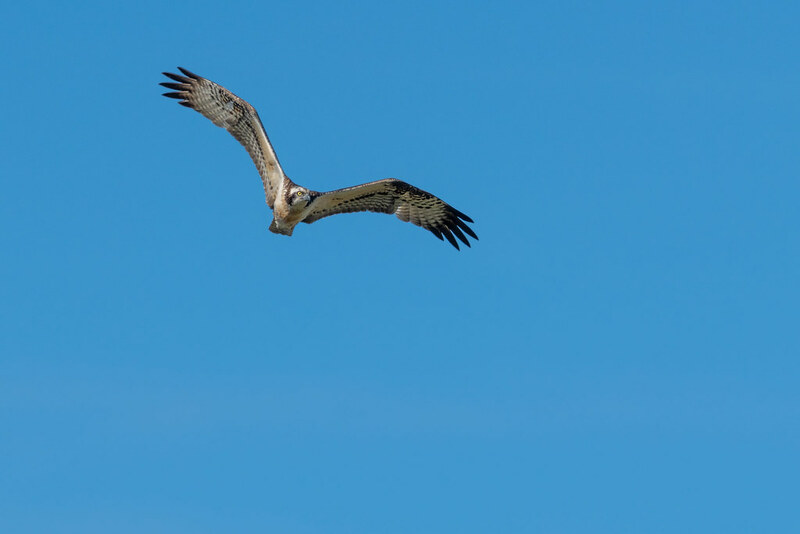 Although large birds, they can be easily mistaken for Gulls and often go unnoticed. 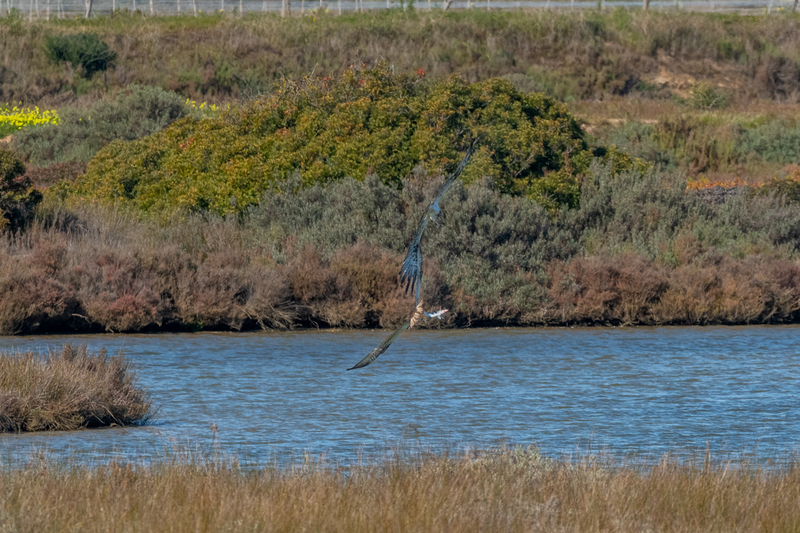 I spent almost 3 hours watching and photographing these spectacular birds and eventually one swooped down and plucked a fish out of the water. What happened next I didn’t expect! 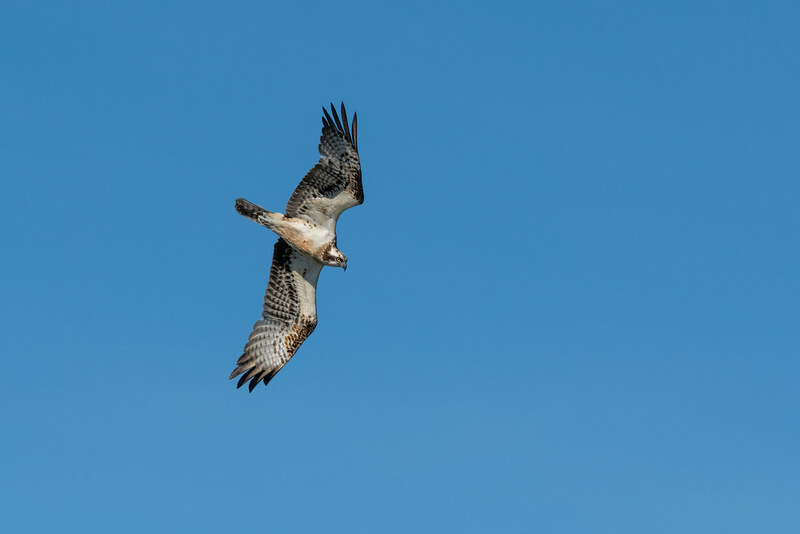 The other Osprey came hurtling in from nowhere and mobbed it for the its catch. I really don’t understand this behaviour as there are plenty of fish in the water at Ludo so why they took so long to catch one and then fight over it is really strange. The crazy thing? They both lost the fish and had to start all over again. The catch and fight was just out of reach of my position, but I did manage to capture some shots of the action.